I wrote yesterday about Highland Council’s move from laxity over its kerbside collection policy for plant waste to humourless enforcement. My main beef was my brown bin not being collected because of a random juice bottle which a passerby had tossed in, and I casually repeated the claim from the Council website that “notifiable weeds” such as Japanese knotweed and common ragwort were prohibitted previously collection policy. In response, the googlebot fired-up for one Neil Jones at Ragwort Facts on Twitter and website who defends the virture of Senecio jacobaea (it is reassuring to know such eccentrics still exist! ), who informed me that there is no such thing as a notifiable weed in this country; and inspection of his Twitter feeds shows he is most displeased that Highland Council is making this assertion. At some point this morning, a passerby popped some juice bottles and crisp packets into my brown recycling bin. On seeing these clearly out of place items sitting atop the weeds and clippings and twigs, the binmen promptly refused to take it and slapped a red notice on. The excuse reason is new monitors accompanying them on their rounds to ensure compliance to an unpublished white- and blacklist, so to reduce costs in sorting-out the deposited debris (if there even were a system in place to begin with) in preparation for agricultural soil conditioner. 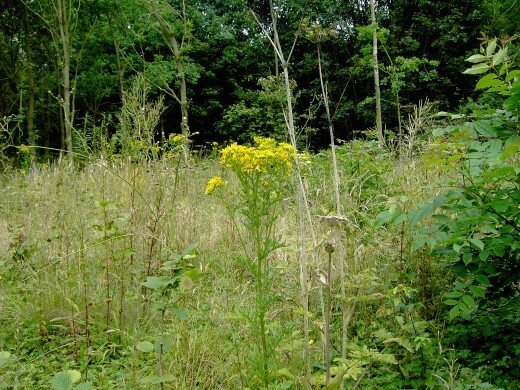 Some of the excluded items are quite reasonable, from notifiable weeds such as Japanese knotweed and ragwort to non-organic garden waste such as furniture or old boots. I cannot quite see how soil will be excluded as, judging by today’s pettiness, residual soil on weeds tossed into the bin could be determined to be contravene the regs. Here at Efrafa Warren, we are very fond of plants… especially those torn from the ground and served on a plate. This is the first year I have attempted strawberries, and have started-off big with some three dozen in the home garden: plants which I skolled from another allotmenteer last autumn. When I was laying them in October, a four year old boy came to enquire what they were. On hearing they were strawberries, he declared that he might “borrow” some. Yesterday, after the roots had spread-out over winter, I decided that it was high time to do serious weeding between each plant. Taking an authenic East African jembe (almost three quarters of a century old, and still going strong), I filled three pails with weeds and then worked-in some additional compost. I saw the first of the white flowers last night, and inspecting the patch this morning saw another two on the same plant. Although I had potatoes and onions growing this summer, it has just occured to me that I had not prepared seedlings for a winter crop (unlike the owner of these magnificent specimens I visited yesterday); so I am now getting in some quick growing seeds. Thank goodness for Tesco in the winter. There are very few allotment facilities in Caithness, and I am grateful for corners of gardens which I have cultivated. Pennyland Farm at the base of Castlegreen Road in Thurso was formerly host to a handful of privately owned plots; and the main field at High Ormlie in Thurso was taken over by Thor Housing. All I can think of is a handful owned by the Council by the graveyard in Thurso. That said, plans do appear to be afoot to implement a new allotment policy across the Highland Council area. My immediate suspicion, though, is that, as with so many decisions here, this would geared for the heaving metropolis of Inverness and surrounding areas, which have several active allotment associations; and not peripheries such as Caithness. 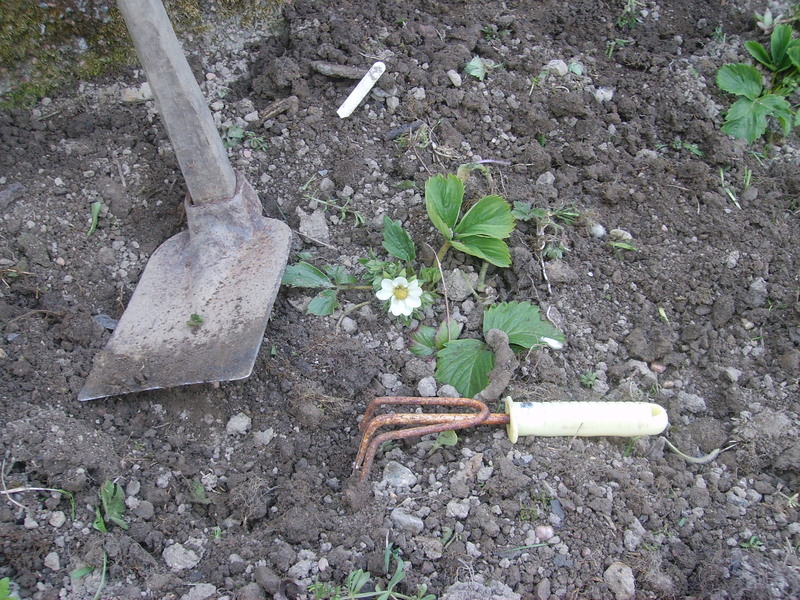 Although produce from allotments cannot be sold as part of commercial projects, plot-owners are free to sell surplus. Plus, there is the inestimatable benefit of growing one’s own food. Even if suitable land could not be found in or around Thurso and Wick (not plausible, in my view), dumpy bags of about one metre square could be planxed on disused land and used for mini-allotments; such as these displayed at the London Festival of Agriculture. Allotmenteering in Thurso recently received a write-up in The Times, with John Thurso, the local MP who tends a vegetable plot behind the walls his family pile, Thurso Castle as it slips into genteel decay. To conjure up an image of buccolic bliss, the article was entitled “Far from the Maddening (sic.) Crowd”. Quite why anyone would relish in the image of their entire sheep-flock being driven over a cliff is beyond me. Still, it could not be as bad as Thomas Hardy’s next book: The Man Who Died At the End.